As a part of the continuing management education process under MBA curriculum ; it was decided to form a team of 16 student participants from the first year MBA to represent CMR Center for Business Studies in the Inter collegiate State level Management Fest and Management Conclave “FUEGO 2K18”organized by Krupanidhi School of Management, Bangalore. Under the conclave the participation was in the following events. 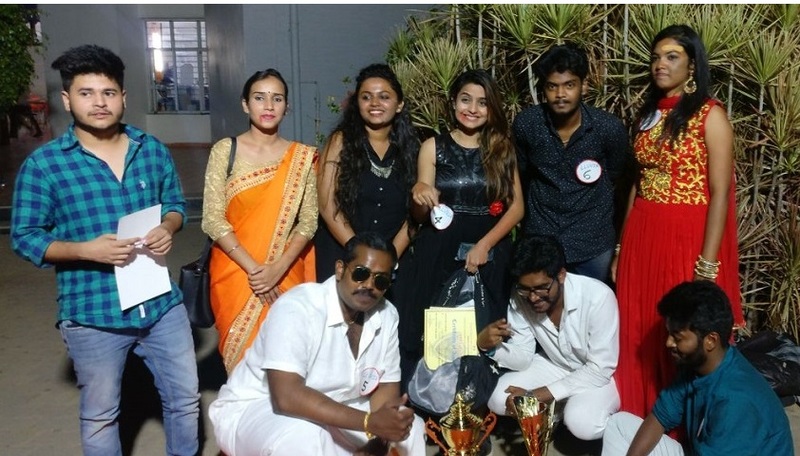 Our students have come up with the exemplary performance by securing first place in the Fashion show and Photography. They were placed in the second position in Best manger, HR event, Marketing event, Finance event and bagged “OVERALL CHAMPIONSHIP TROPHY (RUNNER UP) 2017-18”. Herein, it is also to be noted that during the last academic year 2016-17 our students have won the OVERALL CHAMPIONSHIP TROPHY in the same venue proving consistency in students’ quality and performance. The above achievement is the testimony to the hard work and sincere effort made by our faculties in motivating and molding the students towards bringing their hidden talents and potential of our budding managers.